Provide comfort for the family of Margaret Higginson with a meaningful gesture of sympathy. 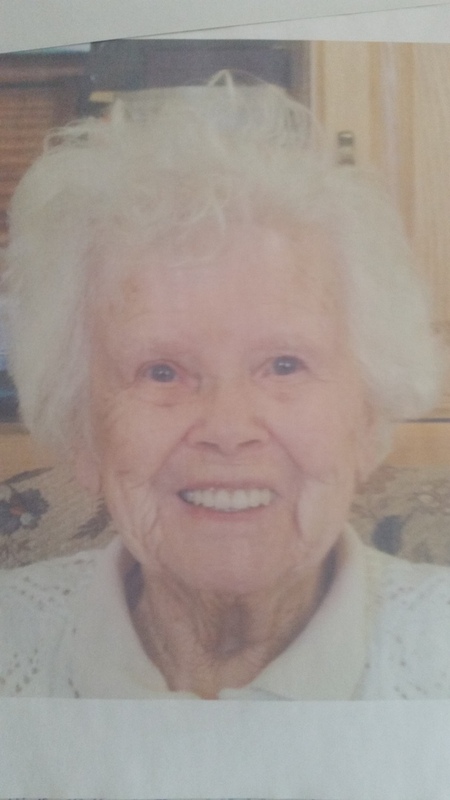 Passed away peacefully at Northumberland Hills Hospital on Sunday, April 7th, 2019 at the age of 93. Beloved wife of Eric for 65 years. Loving mother of Brian and Graham. Devoted grandma of Jennifer. Peggy will be greatly missed by all who knew her. A Celebration of Life will be held at the NEWCASTLE FUNERAL HOME, 386 Mill St. S. (905-987-3964) on Friday, April 26th, 2019 from 12:00 noon until 1:00 p.m. In memory of Peggy, donations may be made to Save The Children Canada. To send flowers to the family of Margaret May Higginson, please visit our Heartfelt Sympathies Store. Provide comfort for the family of Margaret May Higginson by sending flowers.